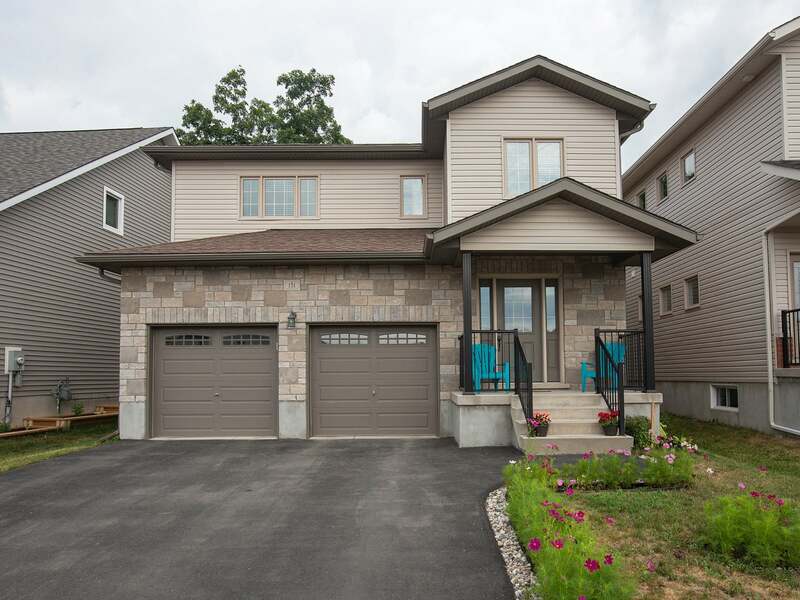 Impressive 6 year old two storey home set on a premium green-space lot with no rear neighbours! 3 bedrooms, 2.5 baths and 2 car garage! Stone front exterior with covered front porch, large foyer and open concept design. Maple hardwood through the living and dining rooms, the kitchen features pots & pans drawers, tile backsplash, under cabinet lighting and stainless steel appliances included! Patio doors from dining room to large rear deck and gorgeous rear yard with beautiful mature trees. Upstairs offers 3 bedrooms including oversized 2nd bedroom w/walk-in closet and spacious master bedroom with walk-in closet and ensuite bathroom. Convenient 2nd floor laundry room and 4-piece main bathroom. Lower level offers large rec room with laminate flooring, pot lighting and rough-in for future 3-piece bathroom plus ample storage. All this plus central air, HRV, garage door opener and more! Ideally located close to parks, waterfront, rec. centre, schools and more! A beautiful home to call your own. Floor Area 1,563 Sq. Ft. Lot Size 40 x 138 Sq. Ft.